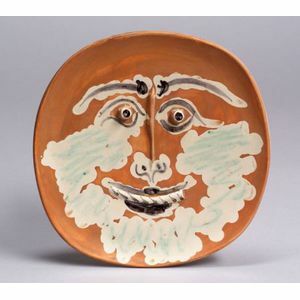 Bearded Face/A Decorated Plate, 1959, edition of 100 (Ramie, 413). Signed and numbered "EDITION PICASSO No. 24/100" on the reverse, stamped "Madoura Empreinte Originale..." on the reverse. 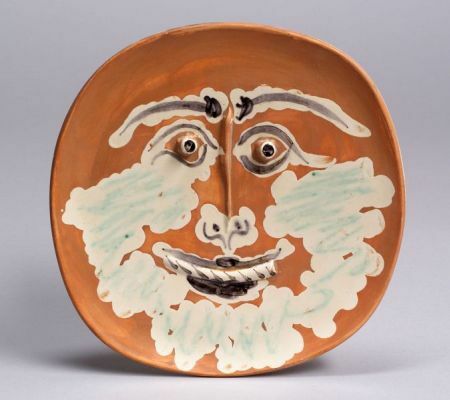 Clay with ceramic crayons and glazes, diameter approximately 10 1/2 in. (26.5 cm).